Tue., 14 May - Thu., 27 Jun. Mon., 18 Nov. - Thu., 21 Nov. Mon., 25 Nov. - Fri., 29 Nov. Thu., 6 Jun. - Mon., 5 Aug. 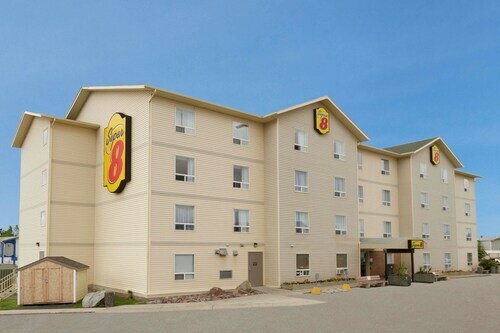 Situated in Yellowknife, this eco-friendly hotel is within 2 mi (3 km) of Yellowknife Veterans Memorial, Northern Frontier Visitors Center, and Prince of Wales Northern Heritage Centre. Prelude Lake Territorial Park is 20.7 mi (33.4 km) away. 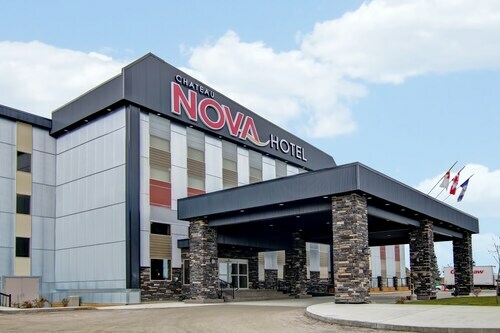 Situated in Yellowknife, this eco-friendly hotel is within 2 mi (3 km) of Yellowknife Veterans Memorial, Northern Frontier Visitors Center, and Prince of Wales Northern Heritage Centre. Prelude Lake Territorial Park is 20.9 mi (33.6 km) away. Situated in Yellowknife, this hotel is within a 5-minute walk of Northern Frontier Visitors Center, Prince of Wales Northern Heritage Centre, and Yellowknife Veterans Memorial. Prelude Lake Territorial Park is 20.6 mi (33.1 km) away. 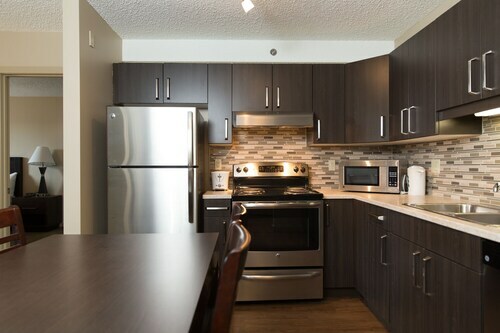 Situated in Yellowknife, this vacation home is within 1 mi (2 km) of Northern Frontier Visitors Center, Prince of Wales Northern Heritage Centre, and Yellowknife Veterans Memorial. Prelude Lake Territorial Park is 20.6 mi (33.1 km) away. 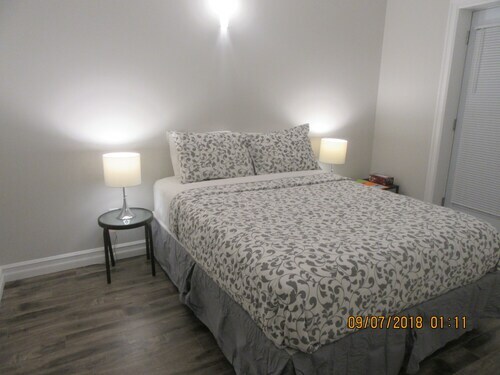 Situated in Yellowknife, this guesthouse is within 1 mi (2 km) of Northern Frontier Visitors Center, Prince of Wales Northern Heritage Centre, and Yellowknife Veterans Memorial. Prelude Lake Territorial Park is 20.7 mi (33.3 km) away. Situated in Yellowknife, this eco-friendly hotel is steps from Yellowknife Veterans Memorial and Northern Frontier Visitors Center. Prince of Wales Northern Heritage Centre is 0.4 mi (0.6 km) away. 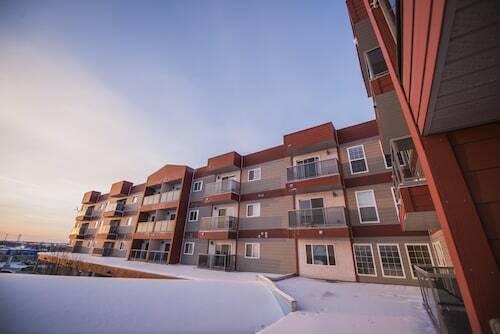 Located in the heart of Yellowknife, this eco-friendly hotel is within a 15-minute walk of Yellowknife Veterans Memorial, Northern Frontier Visitors Center, and Prince of Wales Northern Heritage Centre. Prelude Lake Territorial Park is 21.3 mi (34.3 km) away. 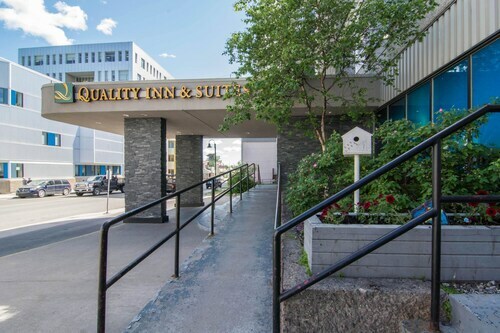 Located in the heart of Yellowknife, this hotel is within a 10-minute walk of Yellowknife Veterans Memorial, Northern Frontier Visitors Center, and Prince of Wales Northern Heritage Centre. Prelude Lake Territorial Park is 20.9 mi (33.7 km) away. Question : Which airline has the least delays from Vancouver to Yellowknife? Answer : Booking with Air Canada means you will arrive to Yellowknife pretty close to the time your ticket states. In fact, this airline has a 100% on-time average. Question : What is the cheapest airline flying from Vancouver to Yellowknife? Answer : Air Canada is the leader in keeping costs low for their passengers over the next three months. Fares are being booked at just $292, which is a steal when compared to the more expensive bookings of $1,244. Question : What is the cheapest date to fly to Yellowknife? Answer : As of Apr 22nd, the best day for booking to Yellowknife (YZF) is Apr 23rd. A ticket will put you out $334, which is 46% below this route's average price. Question : What airports do you fly into for Yellowknife? Answer : Luckily, there is another way to get to Yellowknife from Vancouver. Victoria International Airport (YYJ) is 40 miles away from Vancouver International Airport, and over the upcoming two months, flights are being booked 36% cheaper than flights from Vancouver International Airport. Question : How long do most people stay on their visit to Yellowknife on average? Answer : Of course, you are not most people, but if you were, you'd stay about five days. Question : How much is a plane ticket to Yellowknife (YZF) from Vancouver (YVR)? Answer : Prices can vary anywhere from $292 to $1,244. Booking in advance can typically help you get the cheapest ticket. Prices tend to be better the further out you book.